The first piece of news is that I have changed my blog name. 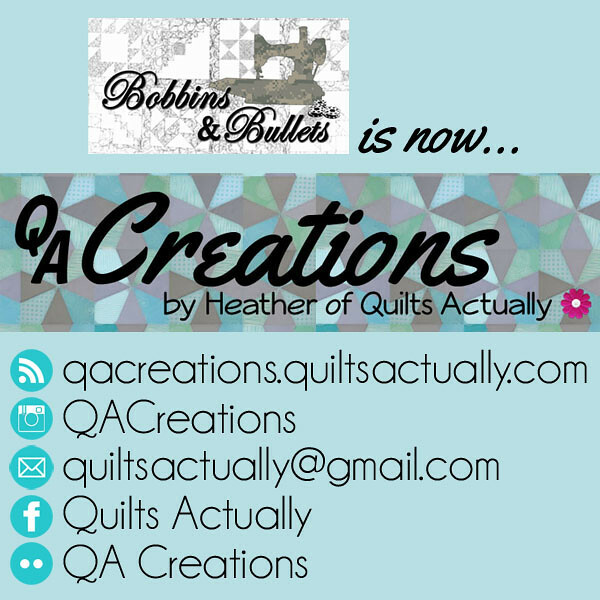 A lifetime ago, I chose Bobbins and Bullets. It made sense at the time. I was in the Army, deployed to Afghanistan. My husband was deployed to Iraq. I was sewing for sanity, and wanted a blog to maintain a link (no matter how small) to the “real world”. The blog was just something I had – mostly for me to document what I was doing so I wouldn’t forget what I made. I barely posted once a month. Once I redeployed and got home, I got a puppy, was busy at work, and continued to not post very regularly. Fast forward a couple years, and I was getting out of the Army to stay at home with my new daughter. Once again, I was sewing to keep my sanity, and I discovered that I needed the online sewing world as my link to the “real world” as a new stay at home mother even more than I had needed it back when I was thousands of miles away from home. Now, I have an active, determined, amazing (almost) 16 month old daughter. I’m starting to take quilts from others to finish on my long arm. I want to continue sharing my patterns and tutorials. I’m having a lot of fun with bees and swaps. I’m ready to be a contributing member of this community instead of just a lurker. But, I’m convinced my name was holding me back. Some people were taken aback, some people left comments that led me to believe they thought I was some kind of gun nut. Most people never read the explanation, or noticed that the sewing machine in my logo was Army ACU colored. I don’t want to scare people anymore. I want a name that reflects my current life, not what I used to do. QA Creations will be my creative blog. 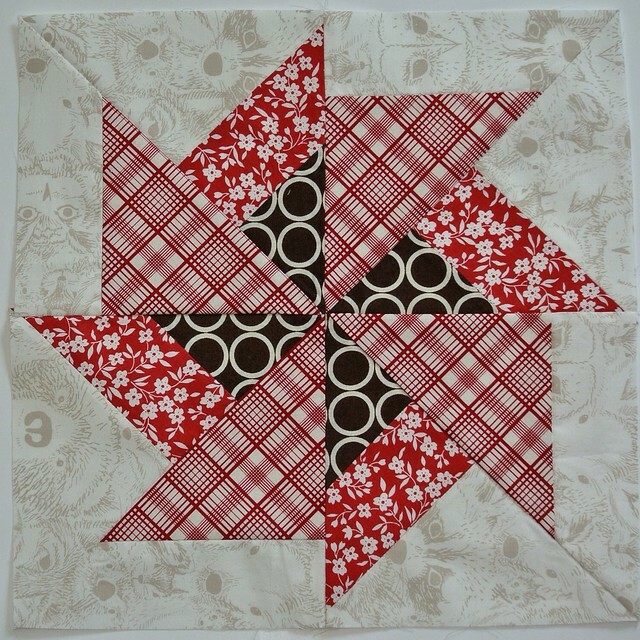 The QA comes from Quilts Actually – which is my long arm and pattern blog and business. 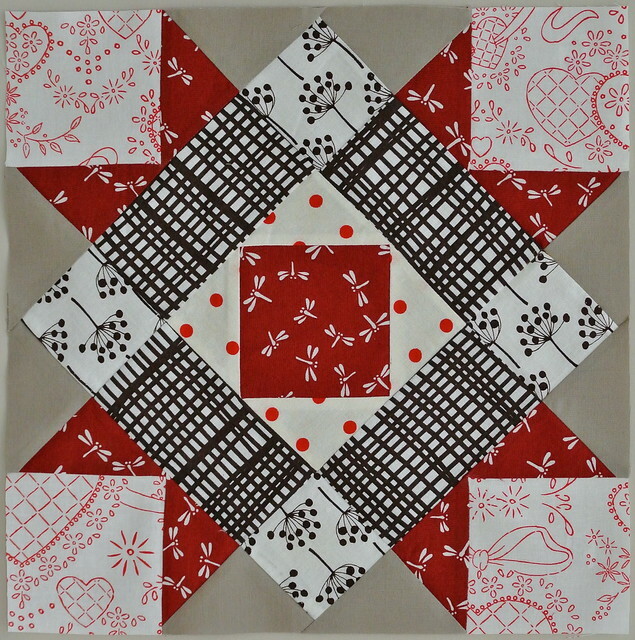 I will continue to post about sewing and quilting. I still love both traditional and modern quilts, and probably fall into the modern traditional camp for most of my own work. I still love to make clothes for my daughter. I’m starting to make clothes for me, and trying to get over the body issues involved with posting pictures of myself on here. I’m also starting to make bags and expand what I sew. I hope you enjoy the new QA Creations, and stick around to see what happens! As an admin note, when I transferred the blog, a lot of my old pictures got messed up. I will be slowly updating all the pictures on my old posts, so please have patience with me. If there is a post you are interested in seeing, let me know and I’ll put that post higher in the queue for finishing up. Finally, so this post isn’t entirely picture less, below are the blocks I worked on in May. It was a big piecing month. I’ve got the bug to make some clothes for me, so we’ll see how much of that I get done in June. 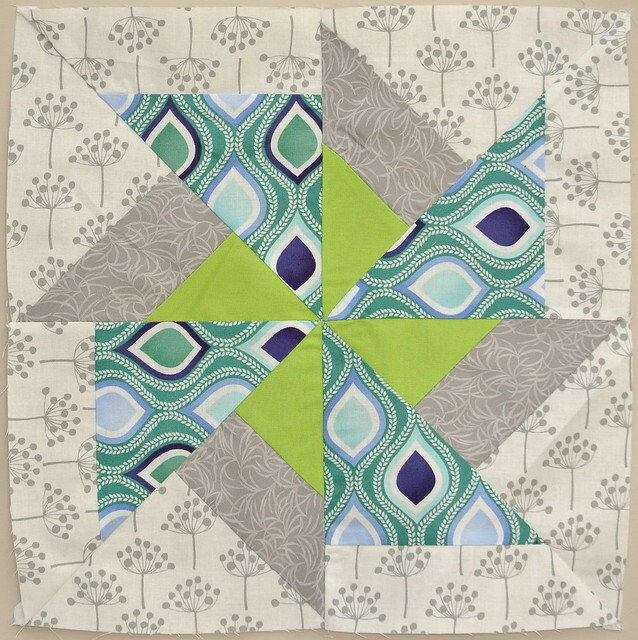 I chose to make the Double Pinwheel Block from McCalls. I think it’s a fun block, that isn’t seen very much around the inter webs right now. 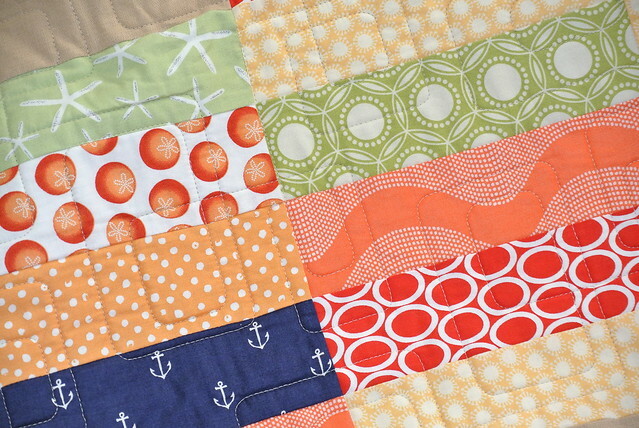 It’s one of those classic blocks that can be modernized with fabric choices. The only downside of the block is using the construction directions from McCalls there are a gazillion bias edges. All you can do is starch like crazy and hope for the best. Sarah requested aqua, lime, cobalt, and grey on a text or low volume background. Christina requested sea foam green, pale turquoise, pale gold, champagne, pearl white, and kona white background. 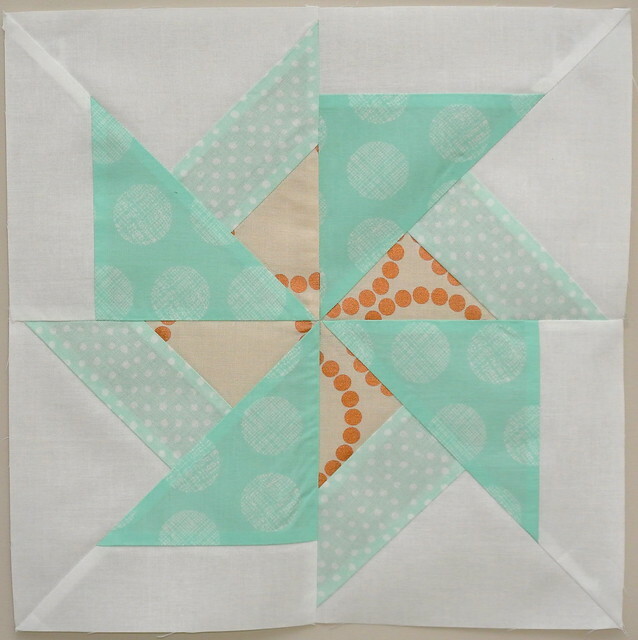 Cinda requested aqua/turquoise, orange, yellow, and grey with a white or low volume background. Dawn requested red, turquoise, aqua and pink with a white background. 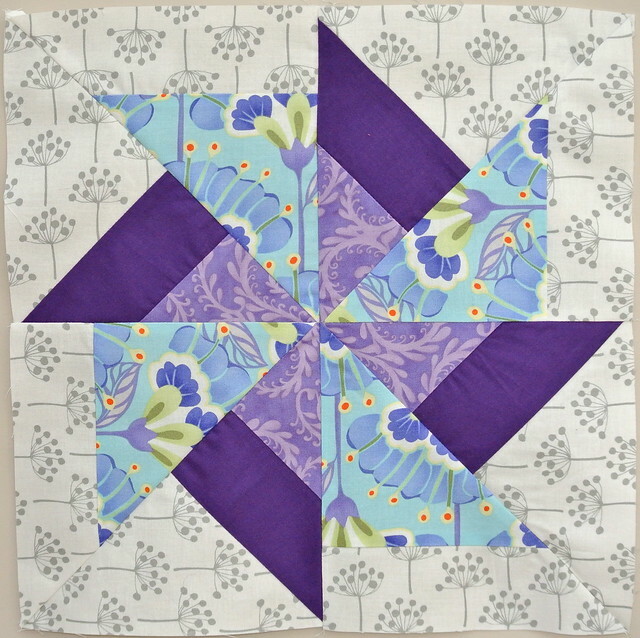 Brandy requested purple and aqua with grey or low volume background. I continued with my real world red and white theme. 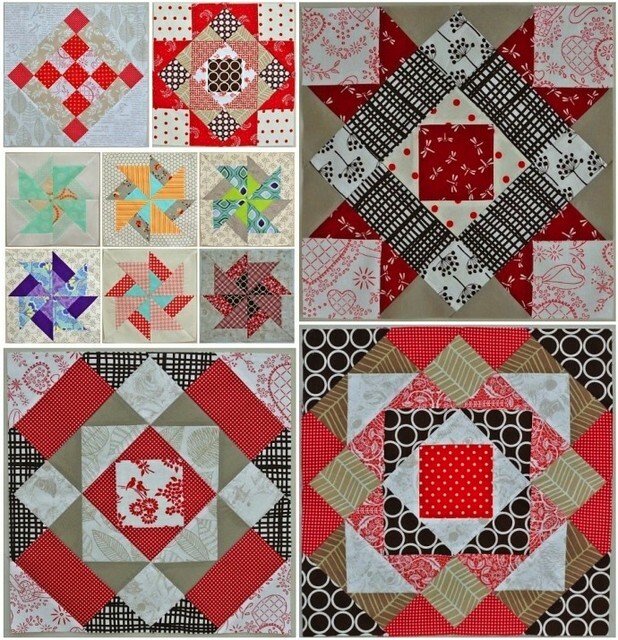 Linking to: Anything Goes Monday, WiP Wednesday @ Freshly Pieced, Let’s Bee Social Wednesday @ SewFreshQuilts, Needle and Thread Thursday @ My Quilt Infatuation, Whoop Whoop Fridays @ Confessions of a Quilt Addict, Fabric Frenzy Friday @ Ft. Worth Fabric, and Sewjo Saturday at My Go-Go Life. 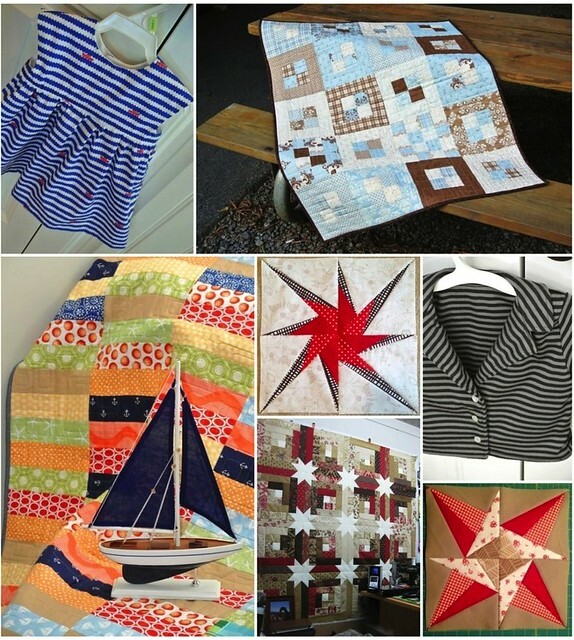 Welcome to my entry to the Spring 2014 Blogger’s Quilt Festival – the Spinnaker Quilt! 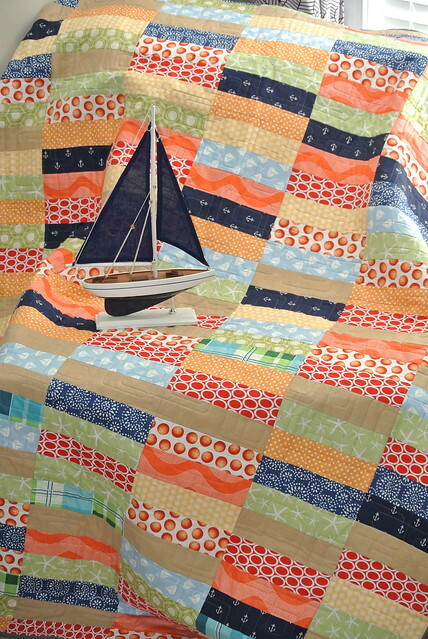 The inspiration for this quilt was a brightly colored spinnaker on a racing sailboat. My dad actually requested this quilt, and when dad requests something like this, I make it. He wanted it to have yellow, green, red and be bright and cheerful. I like to think I met his requests. Each of the 238 rectangles in this quilt are 2 inches by 7.5 inches finished size. I used a variety of fabrics and tan linen to allow the eye a place to rest. The quilting is an allover design of rounded rectangles, with the goal of softening up the hard rectangles while keeping it masculine. 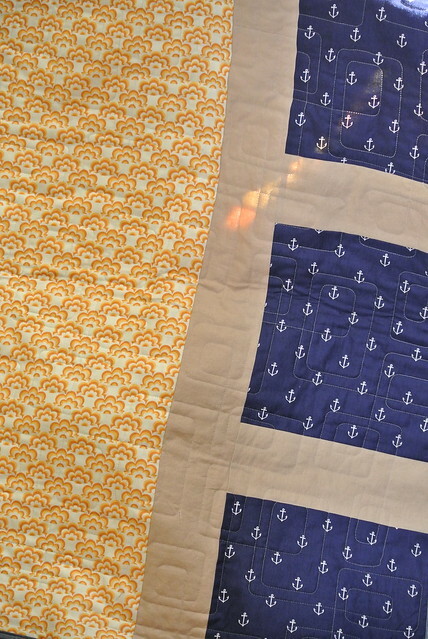 The back is pieced with the linen and anchor fabric to make the backing wide enough to fit the quilt. 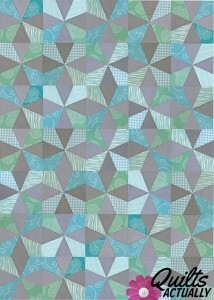 The quilt roll shows the grey crosshatch binding. 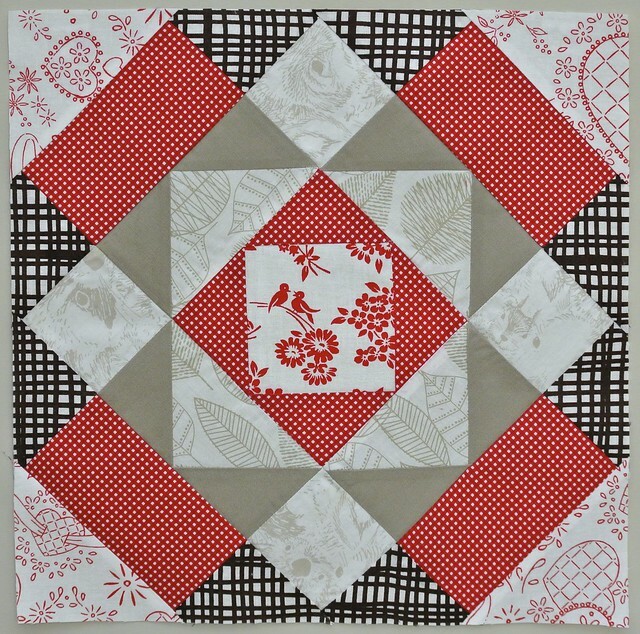 This quilt measures 68.5 by 53 inches, which is 243 inches around – just barely a large quilt category. A little more in process information can be found in my original entry on this Spinnaker Quilt. Thanks for visiting from Amy’s Creative Side! 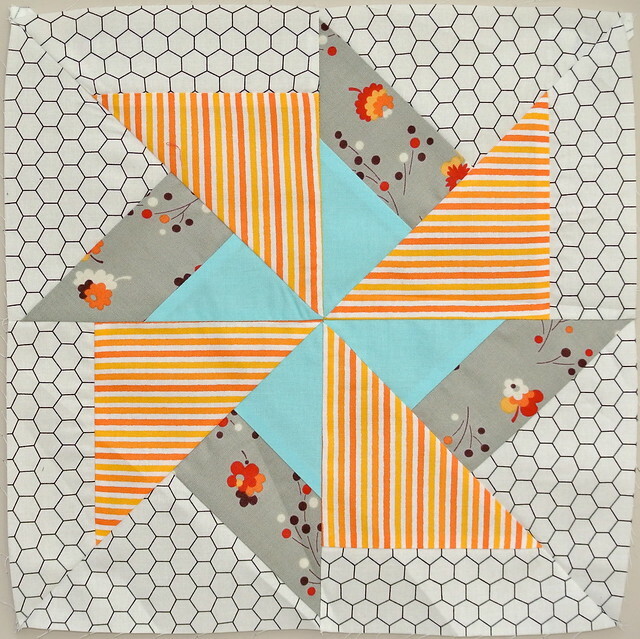 In my continuing quest to create a queen sized quilt so I can actually sleep under a quilt I’ve made, I started the Spring Sampler over at Cora’s Quilts. Block 1 is Pyramid. These are all 12.5 inch unfinished blocks, so a great size for bees or a sampler quilt (in my case!). Block 3 is Tombstone. I varied the fabric placement a little from her suggestion to make it look more different than Pyramid, because it is pretty similar. So far, I’m enjoying these blocks. Cora has done a good job making these tutorials available, and I can’t wait to keep making more! 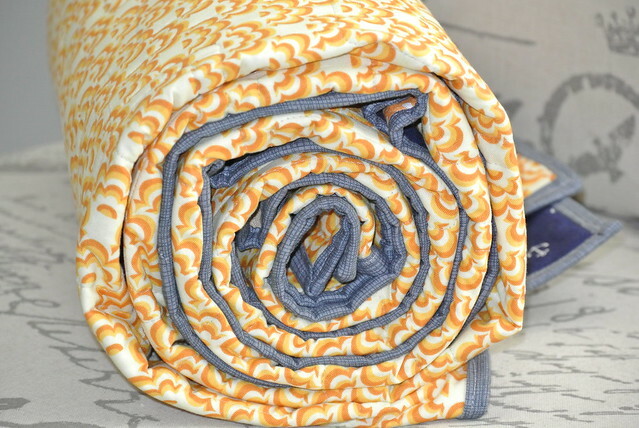 Linking up to:WiP Wednesday @ Freshly Pieced, Let’s Bee Social Wednesday @ SewFreshQuilts, Needle and Thread Thursday @ My Quilt Infatuation, Whoop Whoop Fridays @ Confessions of a Quilt Addict, Fabric Frenzy Friday @ Ft. Worth Fabric, and Sewjo Saturday at My Go-Go Life. Welcome to Anything Goes Monday! 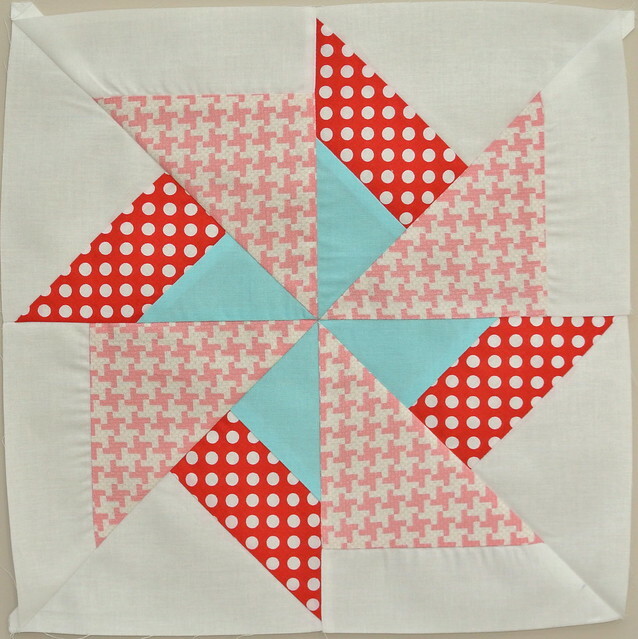 I usually have all sorts of projects on my to-do list, from piecing quilts, paper piecing, and designing patterns to sewing clothing for my daughter and myself. Some examples of my projects are below. If you like what you see, please follow my blog or check out my instagram @bobbinsandbullets! In addition to my personal sewing, I am a long arm quilter. 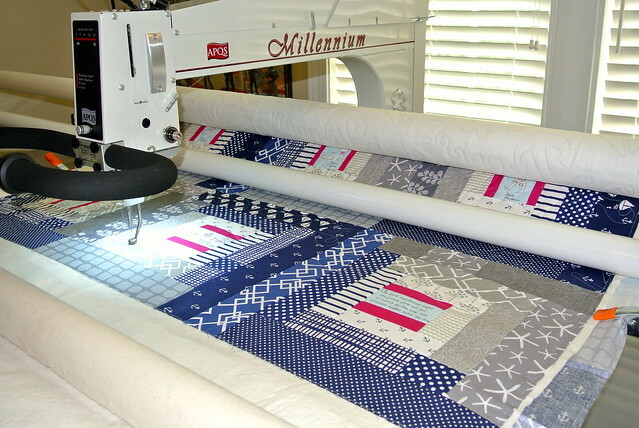 My Millennium can handle almost any quilt you can throw at it, so if you are wanting to reduce that stack of unquilted tops, please consider me! As an added bonus, if you contact me for long arm services and reserve a spot during the month of May, and mention you found me through Anything Goes Monday, I will take 15% off the long arm quilting fee! I also have my first pattern up on Craftsy! The Square Dance Block is a paper pieced block that anyone can do – whether you have paper pieced before or not! 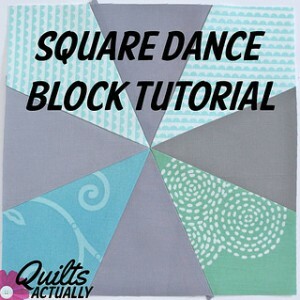 My paper piecing tutorial for the Square Dance Block will guide you every step of the way. 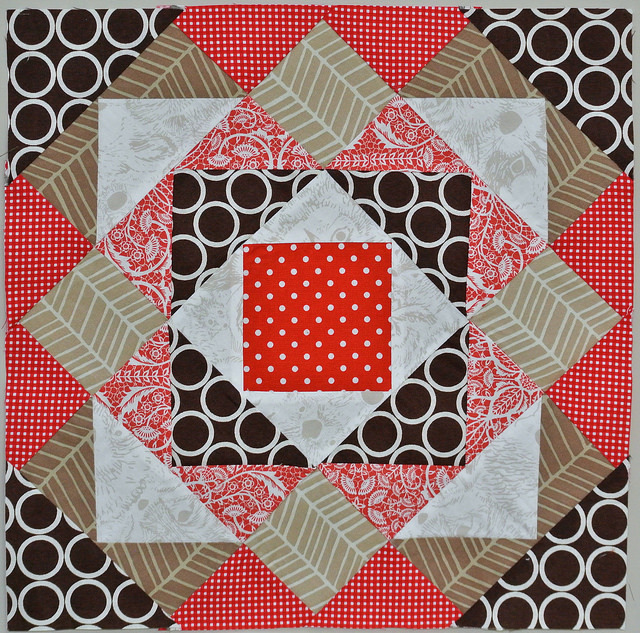 The pattern for an 8 inch finished block is free this month. In June, I will be publishing the full version of the pattern with multiple block sizes. Now it’s your turn to share with us what you’ve been busy with! 2. Somewhere in your blog post, you must link back here to my blog, OR grab the ‘anything goes’ button for you sidebar. 3. Try to visit at least a few of the other blogs linked, the whole point of having a party is to connect, share and maybe get a few new followers…remember to leave a comment to let them know you stopped by! I can’t believe it’s already May Fresh Sewing Day! The last month flew by…. I did mostly quilty work last month, but May will be starting with some clothing sewing. 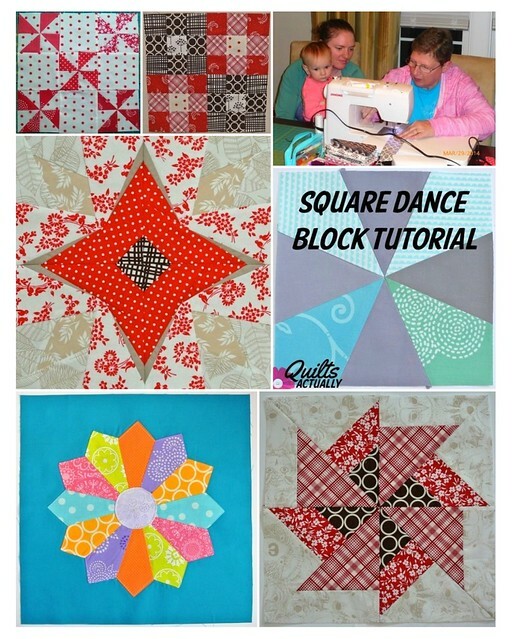 Top Row: Teaching quilting to my mom – 3 generations quilting together! (links to tutorials in blog post). 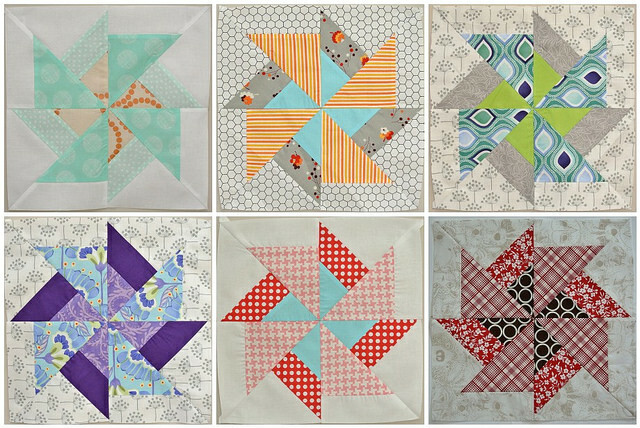 Middle Row: Left – Star Fruit Paper Piecing Pattern Testing, Right – Square Dance Block Tutorial (May is my month in the Stash Bee, so you can find the post for Stash Bee here).